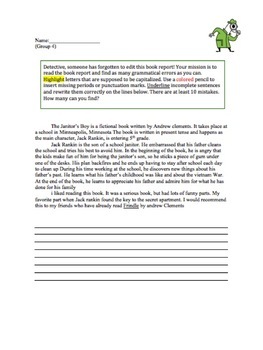 This activity helps student learn how to edit a piece of writing by finding mistakes in capitalization, punctuation, and incomplete sentences. The activity is differentiated for five different levels of students. 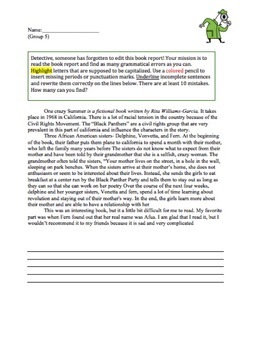 The writing is a sample book report, but this activity could be used for general editing strategies of any type of writing.